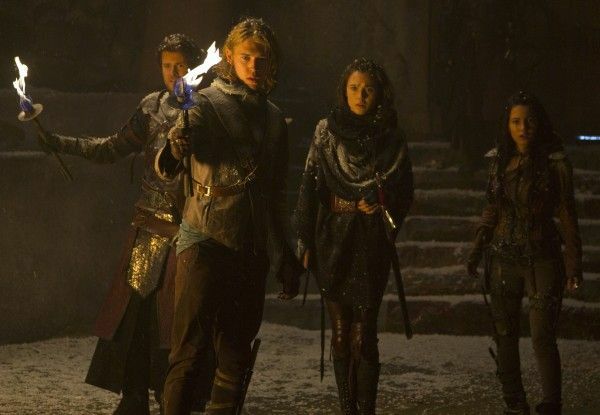 Based on the best-selling fantasy book series by Terry Brooks, the epic story told in MTV’s The Shannara Chronicles is set thousands of years in the future and follows three heroes, the elf-human hybrid Wil (Austin Butler), Elvin princess Amberle (Poppy Drayton), and human Rover Eretria (Ivana Baquero), as they embark on a quest to stop an evil demon army from destroying the world. 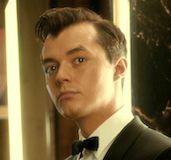 The 10-episode first season is written for television by and executive produced by Al Gough and Miles Millar (Smallville, Into the Badlands), and also stars John Rhys-Davies and Manu Bennett. During this exclusive interview with Collider, showrunners Al Gough and Miles Millar talked about what made them want to tackle the epic story of The Shannara Chronicles, juggling Shannara and Into the Badlands at the same time, how audiences are hungry for something different, the biggest challenges in bringing these shows to life, what they learned from their first season of each show, and finding the tricky balance of leaving viewers satisfied while still wanting to come back for more. Collider: What was it about this material that made you want to tackle something so epic? AL GOUGH: And it’s not on TV. There were no elves on television. When we did Smallville, there was no superhero show. You always want to be doing something new and something interesting. For us, this was new and interesting. We liked the combination of fantasy and science fiction, and the fact that it’s so ahead of its time. It’s YA, before there was YA. It’s also epic fantasy, but it’s science fiction. And you realize how many people have liberally borrowed from what he’s done. How did you end up doing two shows, at the same time, with The Shannara Chronicles and Into the Badlands? MILLAR: It wasn’t by choice. Into the Badlands was shot in New Orleans and Shannara was shot in New Zealand. It was a grueling juggling act. We are very committed to the details and to really ensuring the production value of our shows, and both are huge world-building shows. Into the Badlands is a world that doesn’t exist, so that was a challenge in itself. And with Shannara, we didn’t want to fall into the trope of making it medieval, in terms of the wardrobe and sets. We kept having to pivot to make sure it had this science fiction/fantasy edge that wasn’t traditional fantasy. That was our aim, and we hope we achieved that. 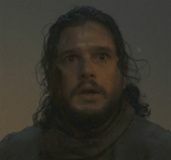 It doesn’t look like a traditional fantasy show. It looks like something else. Is it scary that you have two shows that are very hard to sell in their descriptions? GOUGH: With Into the Badlands, you have the martial arts hook. Even though it’s so much more than that, that’s your big sell. 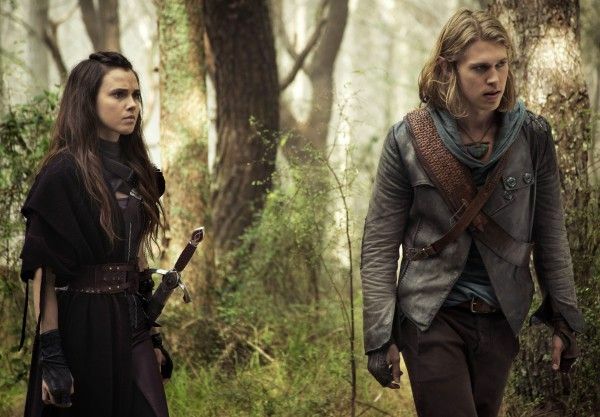 With Shannara, you’re dealing with epic fantasy with elves, trolls and demons. So, even though they’re different and they’re more than what they first appear to be, they certainly have hooks. MILLAR: Audiences are hungry for something different. With binge-watching, they’re hungry for interesting content they haven’t seen before, and they want to be entertained. A lot of shows are grim, murky and dark. We wanted to spin away from the obvious, the tropes, the cliches and what people are doing right now, and do something different. People want to get immersed and lost in a world. They want to lean in and figure it out, and that’s true of both of these shows. You don’t know quite what it is, and that’s great. Since people have seen what can visually be done on television, what are the biggest challenges in having it look the way it does? 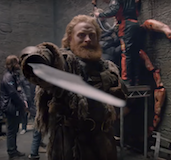 MILLAR: It’s very challenging, considering that we have a tiny fraction of the Game of Thrones budget. We never settle, so we got the same visual effects team that does Game of Thrones to do our cities. We got Weta Workshop to do our creature design. We really didn’t settle or compromise on the visualization of the show. It’s movie worthy, and we hold it up to anything on Game of Thrones. That was our ambition, and hopefully people will see that it has a very cinematic feel and scope. You don’t know what a show is going to be like to make until you’ve done a season. Are there things that you’ve learned from doing a season of each of your shows, that could help make the next season easier? GOUGH: And you walk in with certain preconceived notions. Of the two shows, both of which are very hard to make, I think Shannara, as a production, ran much smoother. I think that’s because we were in New Zealand, dealing with crews that are steeped in fantasy and the locations are very accessible. You’re not going hours and hours out of your way to do something. 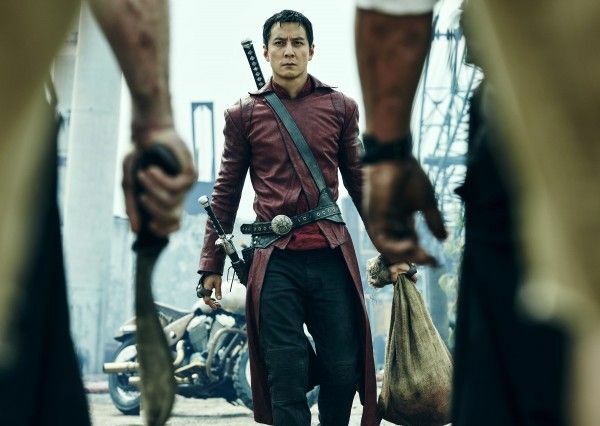 With Into the Badlands, we were world-building and shooting in America. There’s a reason that most world-building shows don’t shoot in America. The dollar just doesn’t go as far. We were also dealing with a full-time Hong Kong fight unit from Hong Kong, that was running simultaneously. So, in many ways, the logistical complexities of that show were a little bit of a surprise to us. 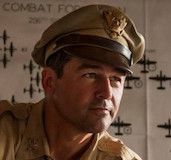 We knew that it was going to be complex, but when we started to do the math, we were like, “Wow, this is very challenging.” So, I think the combination of shooting in America and that fight unit and, on top of that, doing the world-building, it made it more challenging. And there’s a lot of CG in Into the Badlands that you don’t know is CG, like the CG poppy field. There was a certain amount of real poppies, in the first few rows, but the rest of it was CG. And then, for the wall, we built the gate and part of the wall, but the rest of the wall is extension. In that case, it was extending things that we did build. With both shows, what we want to do is create a tactile world, so that you can feel it, but obviously, neither world exists, so that requires a fair amount of CG effects. They’re both incredibly ambitious. It’s just that sometimes you don’t realize it until you’re in the middle of doing it. And then, you’re doing it at the same time. Was there anything, with either show, that you wanted to do, but weren’t able to? MILLAR: The challenge is that Shannara has 15 epic battles with huge armies, and that’s something you can’t do on a TV budget. 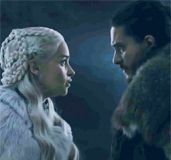 Even Game of Thrones didn’t do it. We couldn’t do that, so we had to pivot and figure out what we could do. In the first season, you’re exploring the boundaries of what your show can do, in terms of story, and what you think works and what doesn’t. That’s been an interesting process. How did you approach putting the cast of The Shannara Chronicles? Was there anything specific that you were looking for? GOUGH: We spent six months casting the show, which is how long we spent on Smallville and Into the Badlands. We have very long casting periods. We looked worldwide, and Poppy [Drayton] was the first person we cast. She was just this amazing find out of the UK, who’d done a small arc on Downton Abbey. I’d been a fan of Austin [Butler] from The Carrie Diaries. 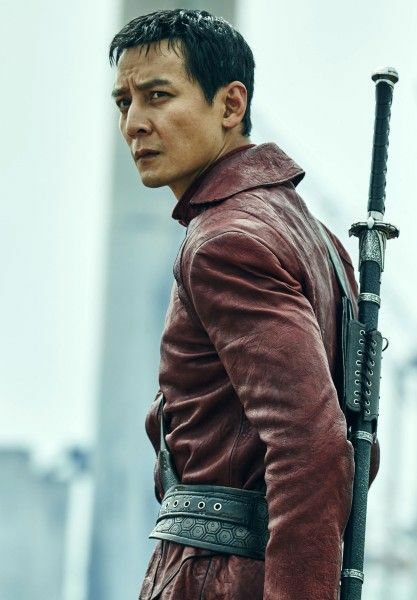 He came in to audition for Into the Badlands, for the Ryder role, and I thought, “He’s a very good actor.” We called him and said, “We have a guy for this role, but we have this other show that you’d be perfect in.” So, he read the script and came in and auditioned. Eretria was actually the hardest role. There’s always one role that you cast at the last minute. For Smallville, Lex Luthor was the role that we cast two weeks before. For Shannara, it was Ivana [Baquero]. MILLAR: We were huge fans of Pan’s Labyrinth, and she came in and did this incredible chemistry read with Austin. They had that magical chemistry between them and it made our lives easier. We were down to the wire, about to start shooting, and we hadn’t cast Eretria yet. It’s such a pivotal role that we really lucked out. How did you decide that you were explore the story of the second book? MILLAR: It was Terry’s decision to start with Elfstones. He thought it was the strongest story. So, we didn’t read the first one until much later. We just read Elfstones, which is a stand-alone book. Each book is generational. And I think it was a really good choice. Terry’s writing, through the years, has grown more complex, and this is just a really great story. Will we feel a sense of closure to the journey, by the end of this season, or are we going to be dying for Season 2? GOUGH: Hopefully, it will be both. There’s certainly a sense of closure, but you see the doors open for subsequent seasons. MILLAR: We liked the idea that it was a contained season, following the story of the Elfstones, and it has an amazing ending that’s a really bold way to end the season. But, it also opens it up for future seasons. We leave a lot of people in jeopardy. Is it a tricky balance to leave viewers satisfied while still wanting to come back for more? GOUGH: It is tricky to find that balance because you want it to be satisfying. What you don’t want is The Killing, where you get to the end and you don’t do either. MILLAR: And you actually don’t know if you’ve succeeded until it airs. 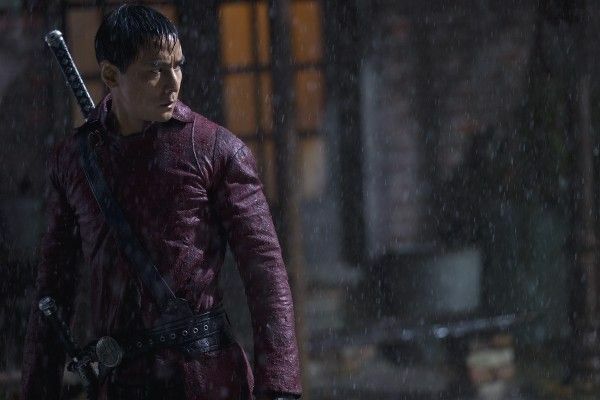 We were on tenterhooks with Into the Badlands because that finale was bonkers. We were like, “Are people going to dig it or not?,” and we were so relieved to see people saying, “Oh, my god, that was awesome!” You have to be bold and take some risks and follow your gut. This season of Shannara is epic and emotional. It’s heartbreaking and everything you want it to be, in a finale. The Shannara Chronicles airs on Tuesday nights on MTV. 'The 100': Is Pike the Most Hated Character on Television?